Explained Without The Math ! RF energy travels through transmissions lines (coax cables or PCB traces) just like sound travels through an empty room. It is susceptible to reflections an bounces. When sound waves hit the hard tiled walls of an empty room, you can hear strong echoes. The loss or reduction of the echoed waves is nearly zero. Imagine the difference when you are in a clothes packed walk-in closet … no echos. The fabric around you absorbs sound, and the loss of the sound bounces is high (high return loss). When we send RF down a coax or PCB trace we want it to go into the antenna (then radiate out into the world). We do not want it to bounce back at us like sound in an empty room. As you can see, higher return losses mean more power into the antenna. Although more return loss is better here, there is little benefit above 10 dB return loss, since more that 90% of available power is already being delivered to the antenna. Return losses above 10 dB have little practical benefit. It officially stands for Voltage Standing Wave Ratio. This dimensionless ratio (no measurement units) is the same parameter as return loss, just expressed in a different scale. VSWR is somewhat old fashioned, and was often measured by the transmitter itself while transmitting into an antenna. 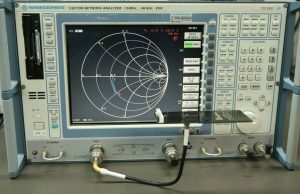 Measuring return loss during antenna design or verification is a powerful performance tool. Without good return loss, an antenna CANNOT accept your RF energy, and therefore cannot have it available to radiate. It is imperative that return loss goals and specifications be met. However, return loss does not tell the whole story. While it is true that poor (low number) return loss means that an antenna cannot radiate: It is NOT true that good return loss guarantees effective antenna radiation. Unfortunately, every week, we see antennas in our lab that radiate poorly, yet have a good return loss. Knowing (not assuming) your radiation efficiency is one of the many benefits of antenna testing. The problem is that internal losses or radiation inefficiency in an antenna can also create good return loss, since the lost energy is not being reflected (returned) to the transmitter. But how do we tell if our good return loss is due to radiation (desired) or internal absorption (undesirable)? 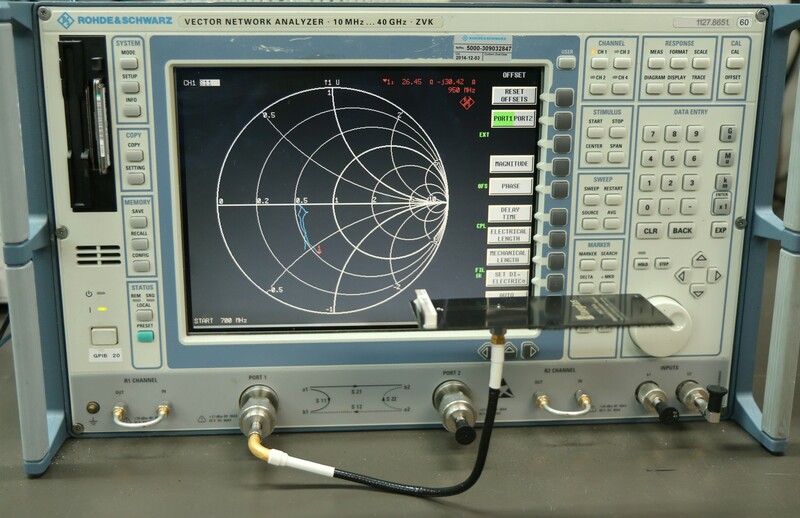 The most accurate way is to have the antenna evaluated at an antenna test lab, and verify its radiation efficiency. Good radiation efficiency is the ultimate goal for most antennas (not just good return loss). Hand proximity: While monitoring return loss, move your hand in close proximity to your antenna, about 6 inches away. If you see changes in return loss, that means the antenna is “interacting” with it’s surroundings. This is a good indication of radiation, and that return loss is probably not being dominated by internal losses. If your hand makes little return loss difference, your antenna has high losses and is not radiating well. Are you ready for antenna insights? Partner with an antenna testing service and get results. You may contact us here.